When commissioning a bespoke portrait from an Artist, I believe that framing is as important as the painting and so offer a full framing service with my Acrylic portraits. I have hand picked a selection of quality frames that will compliment any painting, including a few mouldings that are from sustainable sources which bear the FSC or PEFC logo. 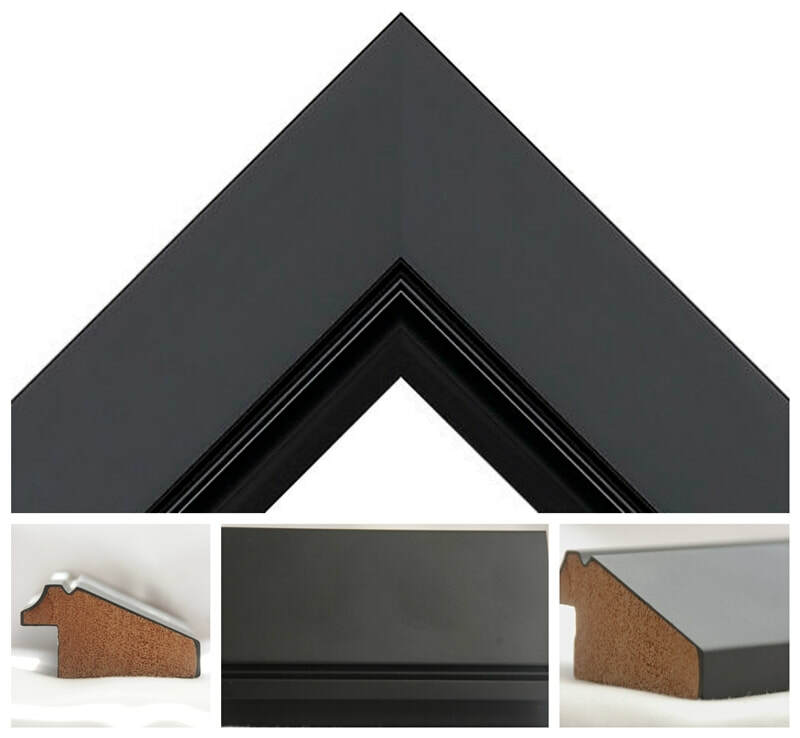 Framing costs start from £35.00. Click on any of the images below if you wish to take a closer look - prices can be found at the bottom of the page with the Price range 1 being the cheaper option, 5 being the more expensive. Please let me know if you are looking for a very specific frame colour, and I'll see what I can do. *due to monitor calibrations, colours may vary. The frame prices shown here are for portraits completed on the Standard 3mm board. The Contemporary 22mm board is normally left unframed although it can be framed should you wish, please request a price if so. What do the green symbols mean? The FSC and PEFC logos are placed on those mouldings that are from sustainable sources. If you wish to find out more please visit my PRODUCT INFORMATION page.